Sometimes I feel like a nut. In this case, Almond….and candied walnuts, but I’ll get to that later. One Friday in mid-April, my friend Sean and I were having drinks with a few friends when we realized we had no dinner plans. Good luck trying to get into a halfway decent place on a Friday night with NO reservation…or so I thought! In a pinch for dinner, my friend Amanda suggested Almond and highly recommended it. The fact that it was only 3 blocks away and I was able to get a reservation for 8:30pm was enough of a sign for me. Located in New York City’s Flatiron District, Almond offers a hearty French cuisine that can satisfy almost any craving (plus it tastes great). Chef Jeff definitely doesn’t skimp on the portions either. One thing I will commend Almond on is great service. 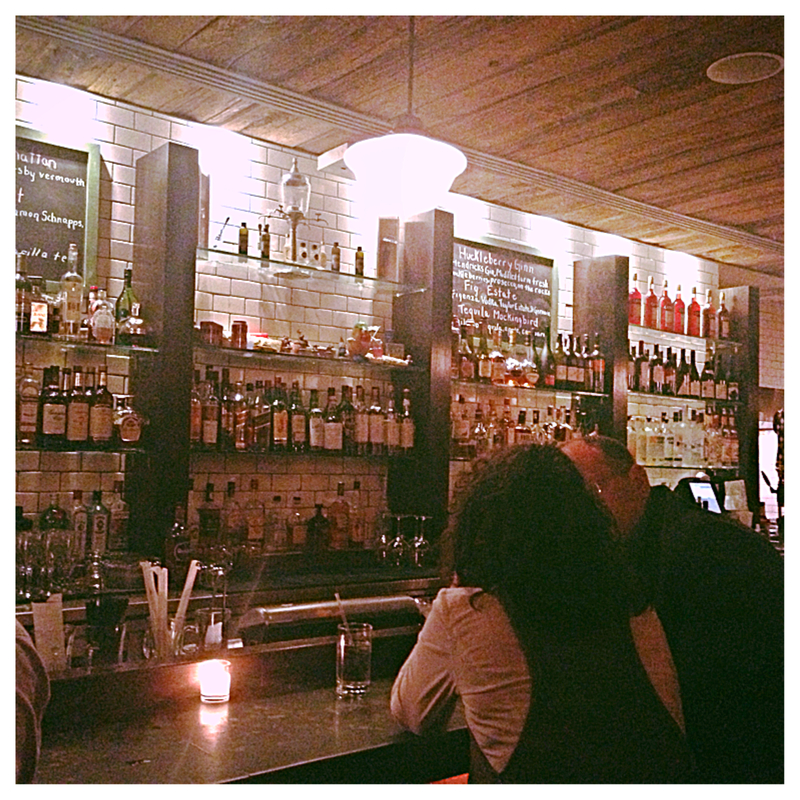 The host was very friendly and our server was extremely knowledgeable about the menu. When I mentioned I had Celiac Disease, he immediately transitioned into telling me what items on the menu were gluten free or could be modified. He also informed me the Chef always has gluten free pasta on hand. Fun Fact: I had the pleasure to meet with Chef Jeff at Almond (After I flagged him over to my table…I think I may have scared him). He mentioned that in addition to the gluten free pasta that’s always on hand, he is pretty accommodating in the event you’re not in the mood for pasta. What a great guy! Steamed Black Mussels with Shallots and White Wine $19. It’s fair to say I am sort of a mussels expert. 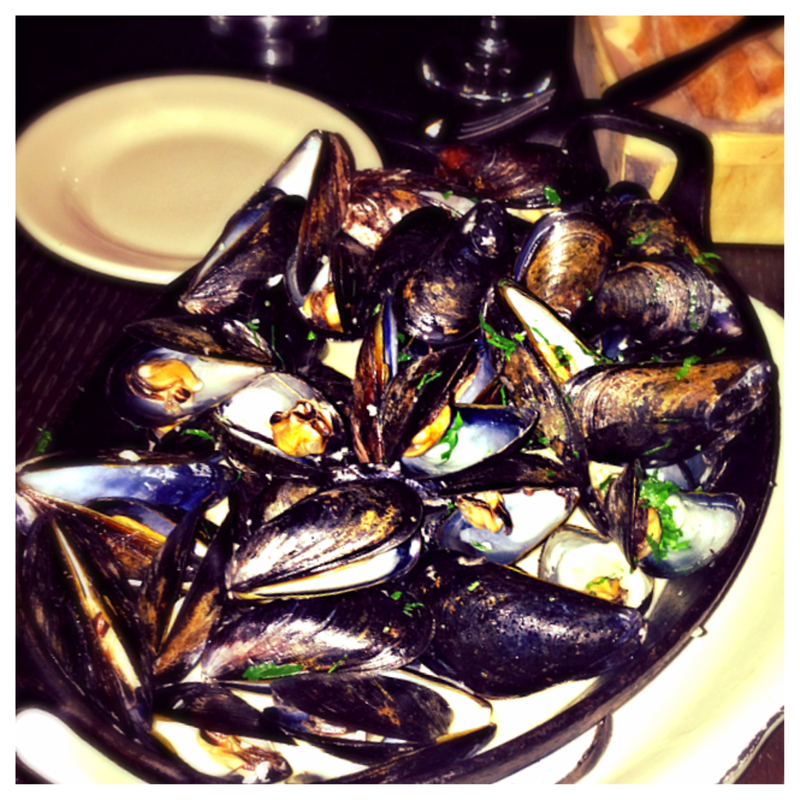 Whenever I eat out, if they offer mussels on the menu it’s almost a guarantee I will get it. In case you’re intimidated by the mound of mussels, Almond offers a smaller portion for $13. The picture below doesn’t do this gluten free appetizer justice. This is without a doubt the largest pot of mussels I have ever seen! If only I had some gluten free bread to soak up the amazing sauce! 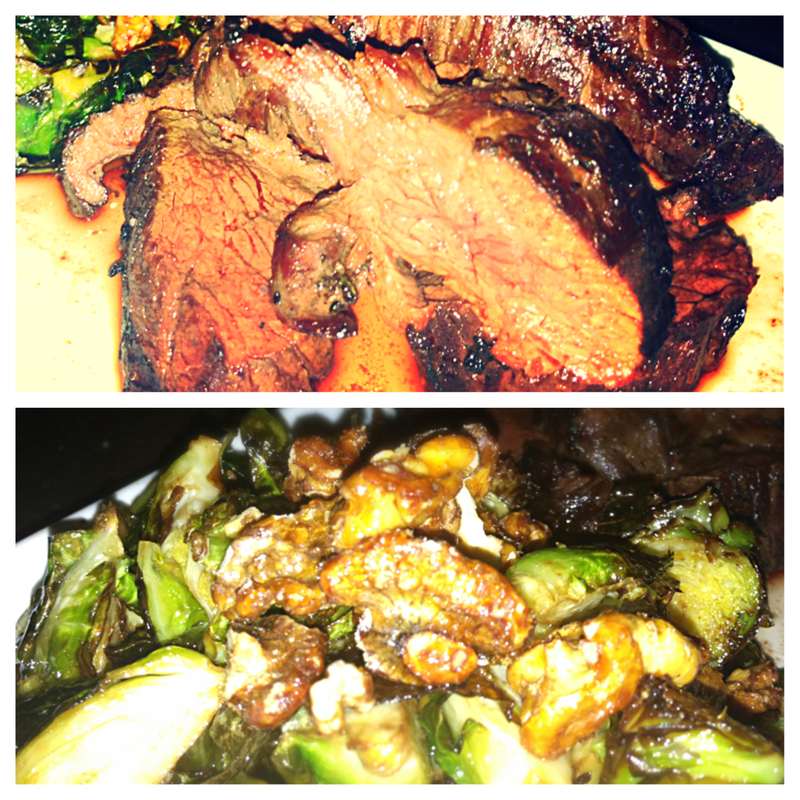 Hangar Steak (Med-rare) with a side of Pan Roasted Brussels Sprouts and Candied Walnuts and Bacon $24.75/$8. The steak was cooked to my liking and had a really nice crunch on the outside. The show stopper here was absolutely the Brussels sprouts! Candied walnuts and bacon…oh my! 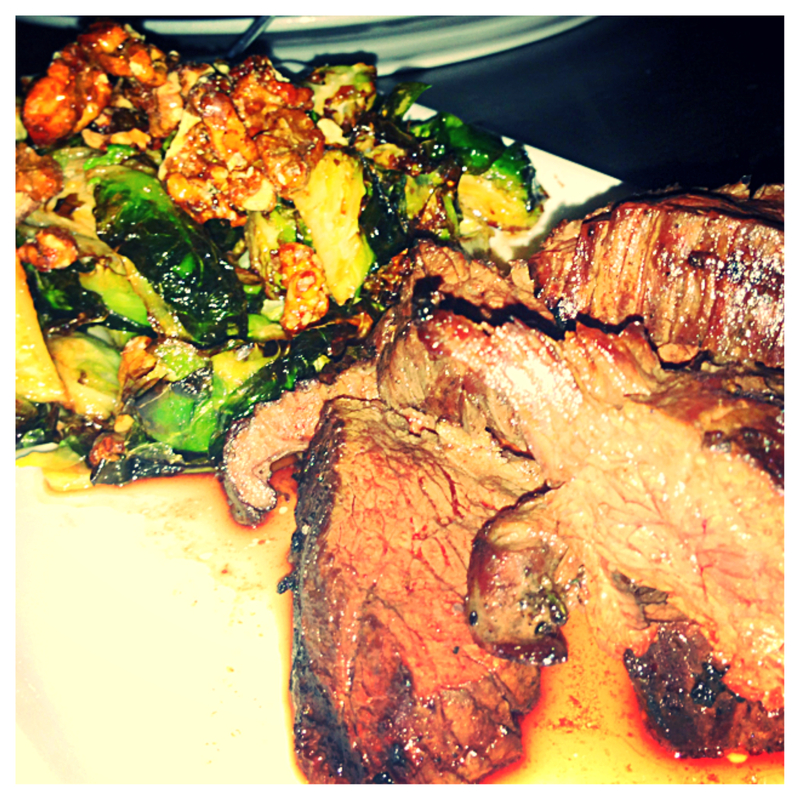 For a side dish, the Brussels sprouts was a big portion but I am certainly not complaining. Once your friends get a whiff of the bacon you will most likely end up having to share them! Overall I really enjoyed my dinner at Almond. The service was great, the food was memorable and definitely worth a second (and third) trip back. I checked out the reviews on Yelp and it looks like Almond offers brunch. I will definitely have to try it out and let you all know how it is!